Poke several holes in potatoes and microwave on High until cooked through, 10 to 12 minutes. Cut the potatoes in half and set aside; coarsely chop when cool enough to handle. Meanwhile, heat 1 teaspoon oil in a large nonstick skillet over medium heat. Add catfish and cook, stirring often, until just cooked through and opaque, 4 to 6 minutes. Transfer to a plate with a slotted spoon and discard any liquid in the pan. Add the remaining 2 teaspoons oil, bell pepper, scallions and ham and cook, stirring, until the vegetables are soft, about 4 minutes. Return the catfish to the pan along with the chopped potatoes, mustard, salt and pepper. Continue to cook, stirring gently, until combined and heated through, about 2 minutes more. Serve with lemon wedges. I read about this on another site and had to share it on here. As a veteran I admire and respect her for what she has done and for what she has become. she is a former Notre Dame basketball player. Iraq War Veteran AND Purple Heart Recipient. She enlisted in the Army after the September 11th Attacks. She lost her arm in a grenade attack. She went back to school to get her Masters Degree in Counselling. 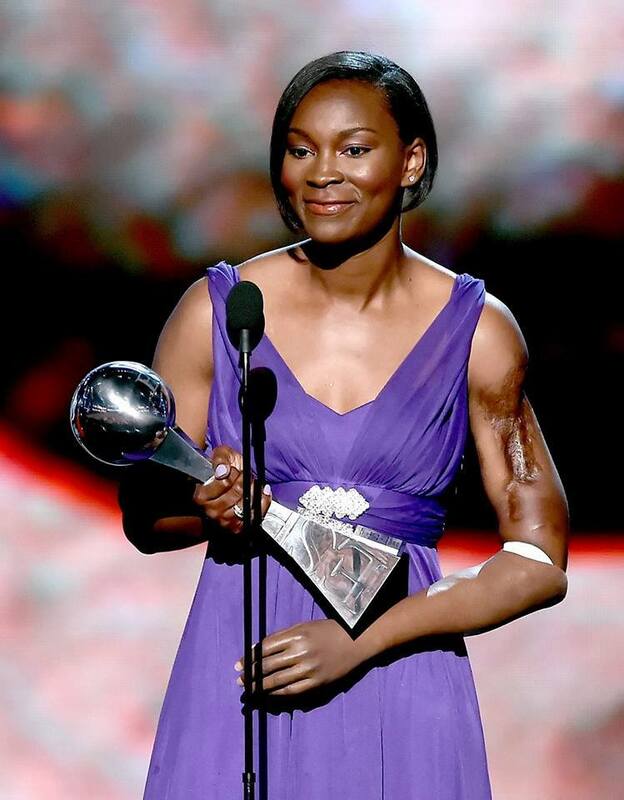 THE ARTHUR ASHE COURAGE AWARD was meant for someone Just like this Amazing Woman. Not for Bruce Jenner. What a Disgrace. Preheat your oven to 350°F and grease the inside of two 9-inch cake pans. Line the pans with parchment paper. Prepare the cake batter according to package instructions and set aside. In a medium saucepan, combine butter, brown sugar, corn syrup, nutmeg, cinnamon, and ginger. Stir frequently over low heat until the butter is melted and the sugar has dissolved. Pour mixture evenly between the prepared pans. Distribute the fruit and pecans evenly onto the batter. Spoon the prepared cake batter into each pan. Bake for 30 minutes. Let stand for five minutes before inverting cakes onto serving plates. If you were ever in the military this is one of the things you remember best, Your first day of Boot Camp. 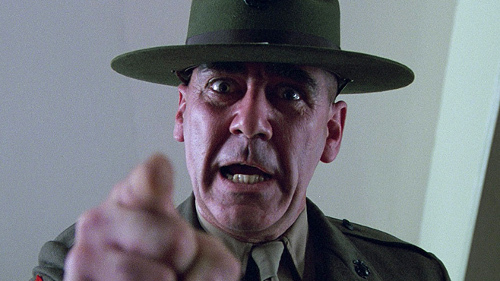 This is from one of the best military movie’s of all time, Full Metal Jacket. This weekend I build myself a desktop computer out of several PC’c that I had laying around since my laptop took a turn for the worse and it was older than dirt. So I decided to look for an alternative operating system as opposed to using Microsoft Windows and settled on the Ubuntu operating system. One of the primary reasons I picked Ubuntu was since my computer was built from several others, I didn’t want to spent hours searching and then downloading all the different drivers to get it up and running. Many PC manufacturers certify their desktops for Ubuntu so it was easy to install and have all the drivers and software ready to go. The other major reason I picked it was because it was Free. Now that I have it loaded and running on my PC, I’m asking myself why I haven’t tried it out sooner. 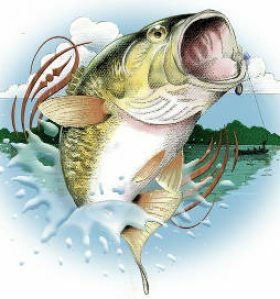 It has compatible software for Office and has a large selection of various types of software, most are Free. 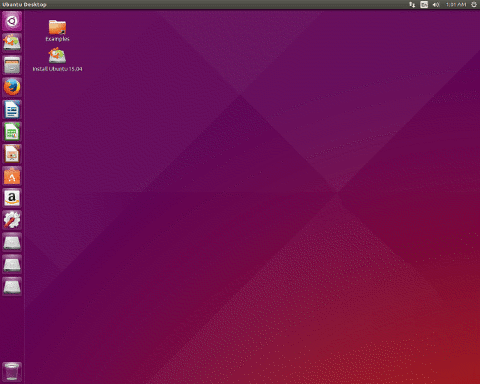 Ubuntu loads extremely fast and I really like the feel and layout. So if you have an older pc and don’t want to continuously pay to upgrade it, give this OS a try. You can run it along side your old windows and just in case you don’t like you wont lose your old Windows OS.